The thyroid is first thing doctors will check when you have unexplained weight gain. You might have an underactive thyroid, also called hypothyroidism, which produces an insufficient amount of hormones that your body needs for metabolism. At least five in 100 people develop hypothyroidism at some point in their lives. It’s more common in women than men, especially among those above 60 years old, according to the National Institute of Diabetes and Digestive and Kidney Diseases (NIDDK). Other signs that you might have hypothyroidism, aside from weight gain, include low energy or fatigue, constipation, dry skin, and hair loss. Your doctor will require a blood test to diagnose your condition properly. A thyroid disorder is treatable with medication and surgery. Do you experience an abnormal menstrual cycle? If so, you might have an endocrine disorder called polycystic ovary syndrome (PCOS). This is a common condition among women of the reproductive age and it’s linked to obesity, as per the journal Obesity Management. With PCOS, your body produces a lot of insulin or is unable to process insulin well, hence the weight gain. There are many factors that affect this condition, so it’s best to get a proper diagnosis from the doctor with your treatment plan. Aside from an abnormal monthly period, you might experience unusual acne episodes because of an unusually oily skin. You may also have excessive hair growth on the face and chest. PCOS can cause fertility problems and miscarriage. If it’s not treated, you could risk developing type 2 diabetes and high blood pressure. If your body has become insulin resistant, you could be in a prediabetic condition. Insulin resistance can lead to excessive weight gain, especially around the waistline. One in every three adults develops prediabetes, according to NIDDK. You need to watch your blood sugar levels and perhaps cut down on your sugar intake to reverse this condition, otherwise it might lead to full-blown diabetes. Bacteria live in your gut to help with digestion. But when there’s a bacterial imbalance, also known as Small Intestine Bacterial Growth (SIBO), you might experience various stomach problems like bloating, gas, diarrhea or constipation, and weight gain. Try increasing your water intake and eat more foods that are high in fiber and probiotic to help your gut. Stress can elicit an excess of cortisol in your body, so you’re having anxiety attacks, depression, and an overwhelming feeling of fatigue, aside from the weight gain. If you’re also having a hard time getting up in the morning and feeling so unmotivated, consider a visit to a mental health professional who can help you get back on track. It’s not just food that causes weight gain. Even insomnia or sleep deprivation can make it harder for you to trim down the excess fat. You feel tired when you don’t get a restful sleep but your body thinks that you need energy. Thus, it triggers hormones that cause the hunger pangs, so you end up eating uncontrollably to let your tired body last through the day. 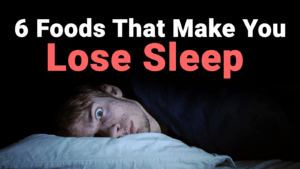 The lack of sleep messes up with your hormones, which makes it challenging for you to control your weight gain, according to the journal Nature and Science of Sleep. Consider a checkup with a sleep doctor who may be able to help identify why you’re not getting a good night’s sleep. If your sleep disorder is addressed, then you may be able to manage your weight better. Perimenopause happens several years before you become menopausal. Women in their 40s or late 30s may experience this stage for 10 years and at least 80 percent of them gain weight, according to a study in the journal Obstetrics and Gynecology Clinics of North America. The symptoms of perimenopause might include mood swings, sleep problems, hot flashes, and irregular periods. Your libido might also drop and you may experience vaginal dryness that can affect intimate moments with your partner. Doing aerobic activities, skipping sugary food, and cutting down on alcohol can help alleviate the symptoms. It will also help to seek from a doctor because some symptoms of perimenopause can be bothersome and uncomfortable. Are you on prescription medication for depression or high blood pressure? Are you taking birth control pills or steroids? Various medicines can disrupt enzyme production, thus you experience side effects like water retention and weight gain. However, you shouldn’t stop taking these medications just because you’re gaining weight. Ask your doctor for a replacement or alternative instead. Sudden and unexpected weight gain may not always be life-threatening or dangerous but if you’re concerned about the abnormal and uncomfortable changes in your body, it’s always more prudent to get yourself checked. Apart from positive thinking, seek a second opinion if necessary, especially if the weight gain problem isn’t corrected despite following the doctor’s orders.